At Michaels & Smolak, we call ourselves “Waterloo NY personal injury lawyers” even though we don’t have an office in Waterloo. That’s because we have an office in Auburn, to the east, and Geneva, to the west, and thus Waterloo lies in the middle between our two principle offices. Waterloo, along with nearby Seneca Falls, is the “geographic center” of our personal injury law practice in New York State. We have many clients from Waterloo, and we appear often at the Seneca County Courthouse in Waterloo to try our personal injury cases. Waterloo is named after the famous Waterloo, Belgium of Napoleon-battle fame, and is the county seat of Seneca County. The Seneca County Court House is in Waterloo. Memorial Day is a serious matter in Waterloo. After all, it is the Birthplace of Memorial Day, and honors every year the traditional Memorial Day itself, and refuses to move the Holiday around to accommodate three-day weekends. Just as Waterloo is proud to be the Birthplace of Memorial Day, Michaels & Smolak is proud to be the premier personal injury and medical malpractice law firm for the citizens of Waterloo. We have represented countless Waterloo residents over the years, including, most recently, a passenger in a car who sustained serious injuries when it hydroplaned and struck a telephone pole. 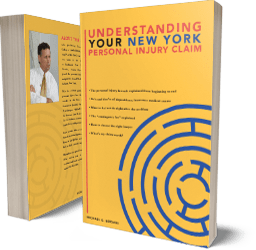 In fact, many lawyers in or near Waterloo refer their personal injury and medical malpractice cases to Michaels & Smolak, the only lawyers in the Finger Lakes area who have developed a New York-State—wide top reputation in the field of personal injury and medical malpractice. The law offices of Michaels & Smolak in Auburn, New York are conveniently located to serve Waterloo residents. Directions can be found HERE. Can’t make the drive to Auburn? Michael Bersani, one of the lawyers of the Michaels & Smolak personal injury lawyers serving Waterloo, NY clients, passes through Waterloo almost daily on his drive to and from the office in Auburn to his home and office in Geneva, New York. He would be glad to stop in and talk to you about whether you have a personal injury case. We have ties with other local Waterloo lawyers, who often refer to our firm their personal injury and medical malpractice cases. Why? Because they know Michaels & Smolak has, through years of experience, gained expertise in representing personal injury and medical malpractice victims. In fact, that’s almost all we do. At Michaels & Smolak we take all types of injury and malpractice cases, including truck accidents, bicycle accidents, car accidents, trip-and-falls, slip-and-falls, product liability cases, legal malpractice cases. motorcycle accidents, construction accidents, wrongful death cases, work place accidents and medical malpractice cases. At least 90% of our case load involves personal injury or malpractice. We also take other types of cases, but very selectively, and on an hourly-pay basis (not a contingency fee like in personal injury cases). Malcolm Gladwell, a famous writer, once said that it takes 10,000 hours of "deliberate practice" to become “world class” in any field or practice. At Michaels & Smolak, all of our personal injury lawyers have logged well over 10,000 hours in New York personal injury law, including representing Waterloo residents. In fact, one of the reasons Michaels & Smolak has limited its practice to (almost exclusively) personal injury and medical malpractice cases is that we wanted to get very, very good at something. And we have become really, really good at personal injury law. These cases can be complicated; both in terms of the medical issues and the legal issues, and lawyers who take on these cases merely from time to time end up over their heads and create legal malpractice situations. The attorneys at Michaels & Smolak know that this is so because they also handle legal malpractice lawsuits, some of which are against lawyers who destroy their injured clients’ cases due to their lack of understanding of all the nuances of New York personal injury law. In sum, to reach the “top tier” of lawyers in personal injury law, a lawyer must dedicate himself to personal injury law on daily basis. Experience in personal injury law begets great personal injury lawyering. It’s that simple. Michaels & Smolak believes it is unique in in the Finger Lakes area in that it is the only Finger Lakes area law firm that handles almost exclusively personal injury cases. Other “generalist” Finger Lakes law firms handle, who may advertise as personal injury lawyers, in reality handle only about 10% personal injury cases and 90% other types of cases or matters. In places like Rochester and Syracuse, you will find lawyers like us who work day in and day out on almost nothing but personal injury cases, but nowhere between Rochester and Syracuse, except at Michaels & Smolak, will you find a firm whose caseload is 90% personal injury. So give the Waterloo NY personal injury lawyers of Michaels and Smolak a call. They offer a free consultation regarding personal injury matters.